Thanks to the biggest single donation, we reached over 10.000$! 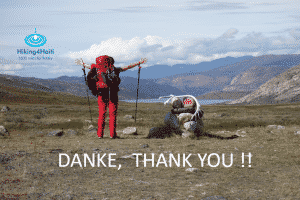 Thanks to Peter we breached the 10.000$! Wow, this was a great Sunday surprise today: We received the biggest single donation. It is a private donor, dear Peter, who helps us breach the 10.000 $. That means we now reached over 80% of the first well! Haiti Outreach is in the final choosing of the community which will get the first well. A lot of communities wait a long time until they have the chance to be supported by changing their lives with available clean water. Before the well is build the community gets training in sanity and hygiene and maintenance for the well. Shortly we will introduce the community to you which is able to start a new life thanks to your donation! And you can be sure to see videos and Fotos of the community when we visit all the wells in July. We will see and ask the people about the difference your donation made to them! Now again a very big thank you to Peter for this very generous donation!! !